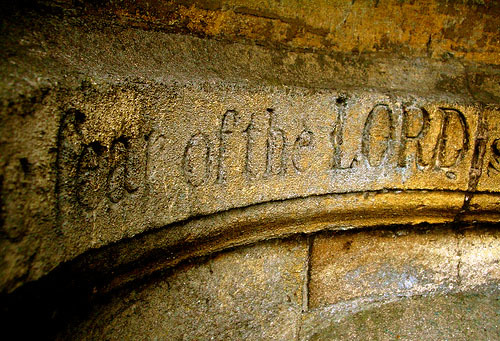 The Faith Log: What is the Fear of the LORD? To live in the fear of the LORD is to live in absolute awe of God and trust Him implicitly, to love what He loves and hate what He hates, to treasure His favor above all things and avoid His displeasure at all costs, to take pleasure in His word, His will, His ways and His works and to honor them in everything you do. The fear of the LORD is not a terror for those who belong to Him and walk in His ways, only for those who live contrary to Him. I liken it to standing at the rim of the Grand Canyon — it’s a breath-taking view but you want to be careful that you don’t fall in. Or the healthy respect a lineman has for the power of electricity — if he does not work with it carefully, it can kill him. The phrase, “fear of the Lord,” is found only one time in the New Testament and is coupled with the supernatural comfort that comes from the Holy Spirit: “Then the churches throughout all Judea, Galilee, and Samaria had peace and were edified. And walking in the fear of the Lord and in the comfort of the Holy Spirit, they were multiplied” (Acts 9:31). This privilege belongs to the people of God. Love God. Love People. Don’t Hold Back.